Council Offices will be closed 12/24 to 1/5. The Council offices will be closed from December 24, and will re-open January 5. 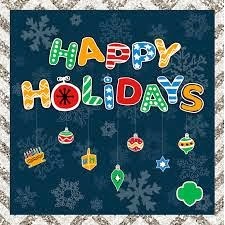 The shop will re-open January 6, you can still visit our online shop, www.girlscouts.org/shop during our office closures. We look forward to starting 2015 with you. If you have a Girl Scout emergency, you can contact GSCCC Answering Service: 800-340-7179. DO YOU REMEMBER YOUR FIRST CAMPING EXPERIENCE?